Madame Claire Denis has confirmed authenticity of this work. Denis's work is distinguished by his use of Christian imagery and symbolism, as well as by the classical subjects and forms inspired by several sojourns in Italy. 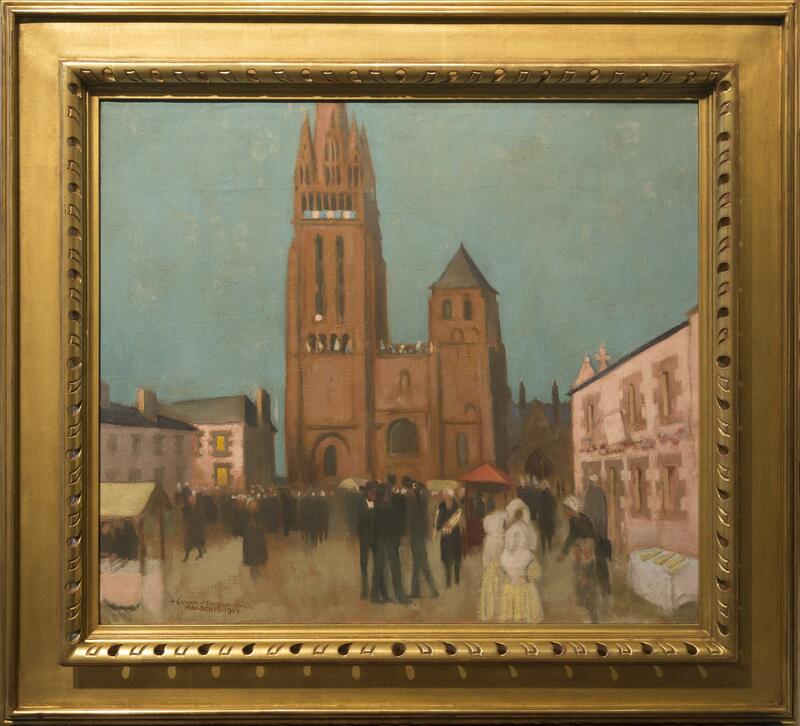 This painting shows the Basilica of Our Lady of Folgoët located in Brittany in the northwest corner of France. The church looks much the same today. 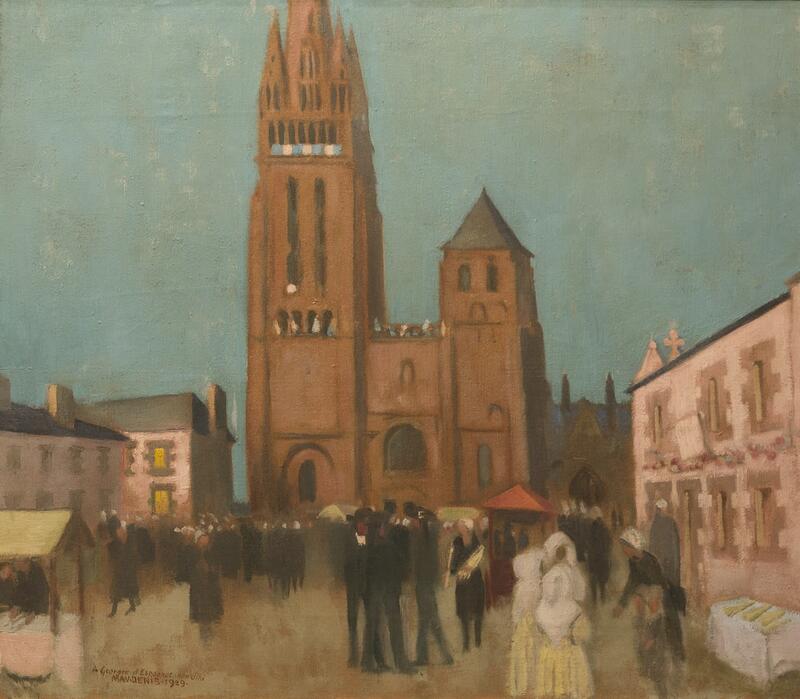 Denis painted a number of night scenes in Folgoët that featured evening religious processions and gatherings centered around this very same church square.